We had the chance to interview Vlad Kartashov the Head Dreamer & Blockchain Nerd of War Riders the first MMO game set in a post-apocalyptic world where players can earn cryptocurrency while blasting enemies sky high. 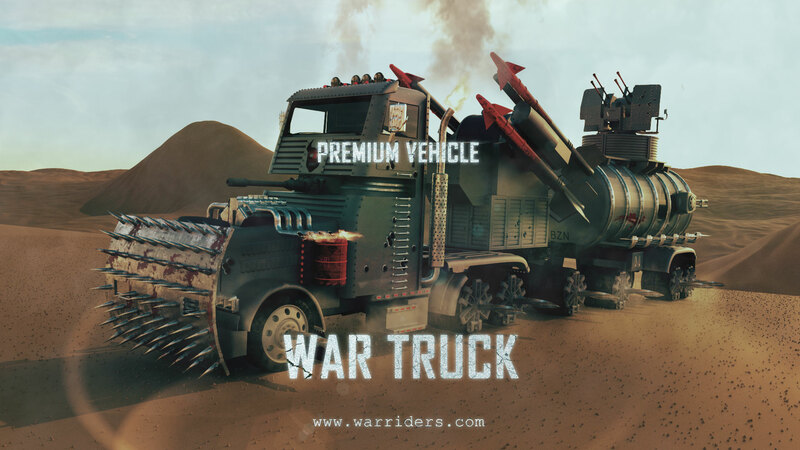 War Riders let players buy Vehicles that they can customize and equip it with weapons to then drive around the wasteland looking for Benzene (BZN). Once they have filled their BZN tank, they will have to drive as fast as possible back to their garage to place their loot in their BZN Wallets. Other players can intercept them and blow them up or ask for their surrender, and it will be up to the players to decide what to do in each engagement. Once safely back players can buy new weapons, upgrades, and garages in the game market by bartering equipment using BZN, merely using cryptocurrencies. 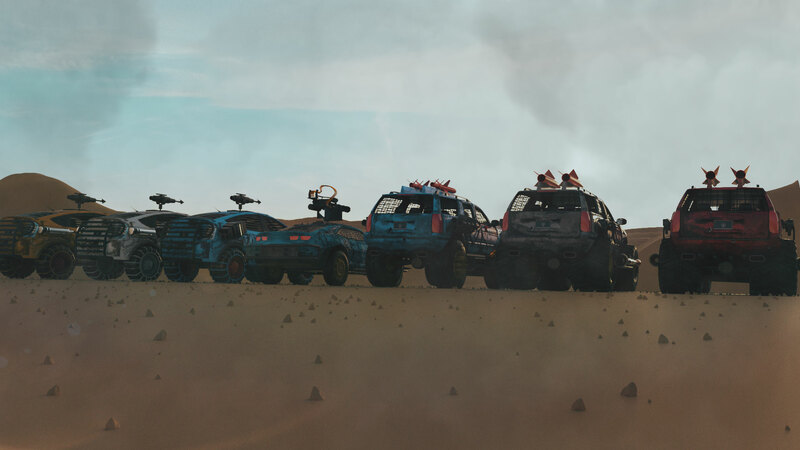 As players earn more BZN and buy more vehicles and garages, they will become head of an army that can dominate the wasteland and offer protection to other players. War Riders is expected to be released as a beta during the fall/end of 2018. In this interview, we wanted to discover more about the War Riders' mechanics that were already announced, uncover possible new details that could be of interest to players, and discuss the future of future of MMO games on the blockchain. Be honest with us, how much did Mad Max and Death Race influence the design of War Riders? Very minimum, on a scale from one to ten, maybe one! We are old school folks, a lot of our team members used to play Interstate 96 and Twisted Metal, so we are all about car combat. We looked at the market and learned about non-fungible tokens and thought that this would definitely be the future. We searched the market, and there weren't any car combat games that we wanted to play, so we decided to create one. Wow, Twisted Metal, haven't heard that name in a while, good hear people still remember it. A lot of our followers used to play Twisted Metal, and they are actively asking us to include some elements of it. Would you consider creating a vehicle base on the ones from Twisted Metal? Well yeah, at some point, right now we are building up the basics and want to see what people's feedback will be, to then build out based on the feedback. 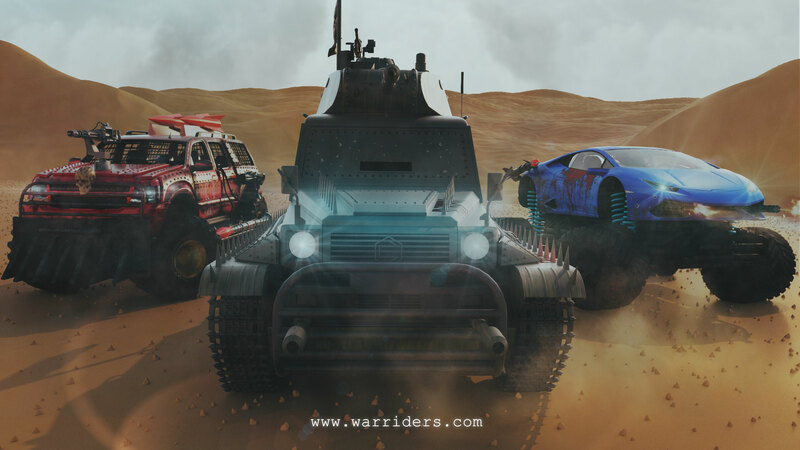 Players will have to buy a car and a weapon to begin since we've all heard of the difficulties of playing games involving cryptocurrencies, how has War Rides made it easy for new players to jump into this world? One thing we did was we removed the restriction from our dapp, the restriction to have Metamask. Anyone can go on the dapp part of our website and browse the vehicles, view the 3D models, and look at the stats. We want to give people a taste of what is inside, and we don't want to hit new users with how to get Metamask. A lot of new users get put off by that. Then our Discord community which is currently the biggest and the Telegram Chat is part of the marketing strategy. Followers and advocates help us by bringing in their friends, and posting Discord invites across different groups. We obviously reward them, for example, on Discord if you invite ten users you will get a free vehicle. Players can rent their garages, how does "renting" in the game work? Can you discuss this in broad strokes? The renting concept is very interesting, our followers who purchased the vehicles are very interested in renting, but not just the garages but also vehicles as well. 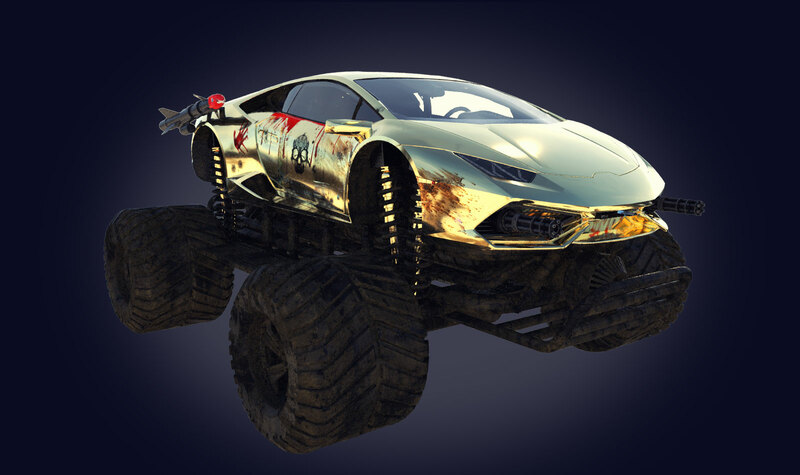 A lot of people are thinking that many players would be interested in renting their Lambo, for instance, or their Car Tanks that are extremely rare in the game. The same thing is seen with the garages, the more time you spend in the game, the more garages you can acquire, the more benzene you collect. In the end, you can rent out your properties while you are away not playing the game, you can even offer protection to other players. How will players running for their lives collecting benzene know where to go to find safety? Will, there be a minimap or will there be visual cues that will give players hints? Well, specifics aside, in order to collect Benzene you have to explore, you really don't know where to drive or which direction to go. You just need to drive and explore the world. What happens if the players don't make it and get blown to smithereens, will they lose their car? We decided that we can't remove something that people paid money for, so they will just lose the benzene that they had collected in the wasteland. The other negative is that the vehicle will freezes in the game for a time. How do armies work? Do players hire NPCs or do players employ other players? The idea initially was so that people will just play for themselves, forming no coalitions. You buy as many cars as you want, building your army and control the army yourself while exploring the wasteland. Shortly after the pre-sale, people started showing interest in creating clans. Clans weren't in the original mechanics of the game, so we decided to do a little experiment and asked people to form clans in our Discord group. I think now there are about 12 or 13 clans already formed and we are still trying to learn what people want. There have even been talks of wasteland collection agencies. So with this reaction, we decided we will include clan mechanics, it will be a very basic mechanic as we don't know if clans will stick around. However, at this stage, the clans seem they will stick around because people are gathering in them, and it seems to be what people want. If you buy the garages will players be able to choose their location in the world? What are the benefits? Yeah, correct, so every vehicle will come with a garage and players can choose where in the wasteland they want to be positioned. Later when you have even more garages, you can strategically place them on the map. The garages will be there forever, and they will remain your property. The benefits of getting more garages are to expand your BZN collection range, your army size, and be able to redeem BZN safely. Once the game reaches the "prepare for the apocalypse stage," users will be able to take their car apart and customize it any way they want. What can players use to customize their vehicles? Are there any limits? Can you customize the garage? The vehicle customization can be done from our website, and people can just login see their inventory, select a vehicle and attach spikes, bull bars, saw blades, change the body of the vehicle, choose the colour, add on guns, and pick better wheels. For both the vehicles and the garage, players can put their custom logo or message to identify their clan, taunt their enemies, or to give the vehicle a personal touch. For someone looking into this game how would you explain that this is not a pay-to-play or pay-to-win game and it is something they want to get into? I spoke about the concept before with people. Usually, pay-to-play games offer you to pay physical money, inside a game when you are in danger or when you have to complete a mission. In our game, you don't get that. You don't have to pay money, and we are not forcing you to pay money to earn the additional equipment. You can just play the game earn BZN and spend it on whatever you want, and it is up to the players to keep coming to make more and more BZN. Is it possible for players to use BZN to get a Lambo or any particular vehicle? The only thing you cannot buy with BZN are vehicles, you will have to buy vehicles with Ether. However in the market, sometime down the road, if someone decides to sell his or her vehicle for BZN it will be entirely possible. How are the vehicles created? Will, you design all the 1,180,000, models or are they all randomly generated? How do stats get assigned to the vehicles? Vehicles can be generated automatically. However, our concept is that the user will create new vehicles and we will provide them with the parts. When you purchase a vehicle, you will see the ranges for the stats. So let us say for example you are interested in a War Trunk and it has a speed of 30-90 mph, its BZN Tank is between 300-450 BZN, and has decent armour. When you buy the War Truck, you will know how many pieces of equipment it can hold, its exact speed, the size of BZN Tank, and its armour strength. Since there is this luck factor, even a premium vehicle can have the lowest stats in its range. There are some pretty incredible vehicles, some worth mentioning, the Hovercraft and the War Truck. What are some of the most sought-after vehicles on the market right now? Can we expect new vehicles to come out as the game becomes more popular? 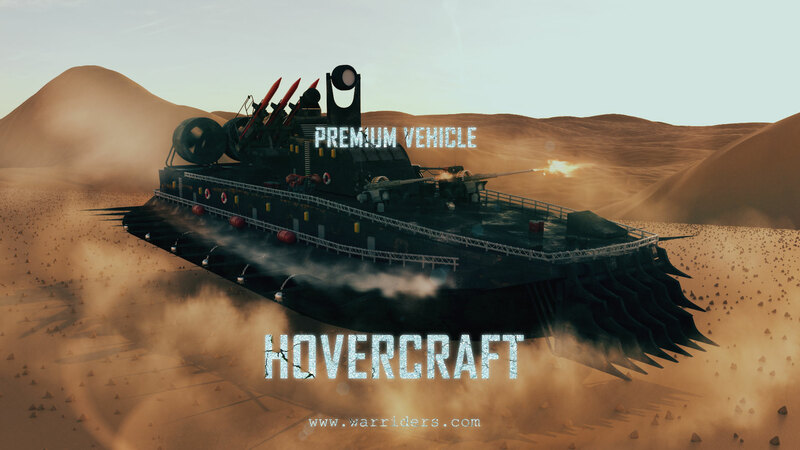 Hovercraft is the hottest one right now, the Lambo and the Car Tank are already sold out. Currently, there are only 200 Hovercrafts left, more than 70% of the total Hovercrafts are already sold, so they will undoubtedly be the next vehicle to go. There will definitely be new vehicles. If you look at our dapp market you can see that our midgrade sections have unknown vehicles, there are secret vehicles we will reveal later. Fan Request - Last question, what is the future of MMO games on the blockchain? I actually separate games into two groups, those games that run on blockchain and those that utilize blockchain assets. The games that run entirely on blockchain are not yet, able to deliver a game that mainstream gamers expect for obvious reasons, for example, provide security. MMO games that utilize blockchain assets will be able to achieve a superior market position just because the gamers arriving into the new ecosystem, will be able to use a variety of marketplaces, get better liquidity for their items, and they will feel safer about their in-game assets. A lot of people that I speak with feel very cautioned about purchasing an in-game item because they know that the item belongs to the game publisher. The items reside in the game publisher's server, and if your account gets blocked for some inexplicable reason, you lose all your assets. In our game we see folks spending $5000 and $7000 to simply build their armies because they know we would not be able, even if we wanted to, to take their assets away from them. It is set in stone. In terms of gaming aspects, we don't have to reinvent the wheel, the great MMO games or the greats games have already built. You should look at their experiences, see how well the industry is doing, its a 120 billion dollar industry, and there is a lot you can learn from them. What I think a lot of games are doing wrong is that they are trying to copy from each other, which is just sad. That's why we are not very open about our technology, not open about what we are building, and we are very secretive because we don't want a competitor to copy us and beat us to market. The future is great. You just need to be working on the user experience and making the onboarding process frictionless explaining to people how to use Metamask and the Ethereum wallet. I think it's straightforward to explain it to them; they need to use their secret 12-word phrase which is both their login and password, which is an easy concept to grasp. However, there are currently other ways to login into your wallet so that someone else manages your wallet on your behalf. OPSkins & WAX have a system where they manage the wallet on your behalf, and their vision is that you log in with their credentials, like Steam's system. This is the key, and this is what we should be focusing on as a community. From October 1st to October 14th we will be hosting a competition where players will have the chance to win either a 1 SUV, 1 War Truck, or 100 BZN. The winners will be chosen randomly from posted retweets and announced on October 15. 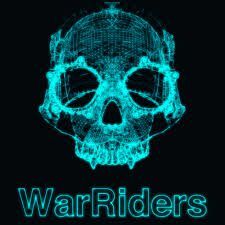 We hope that everyone enjoys this interview with War Riders. To not miss out on future giveaways, join us on Telegram, Twitter, or Facebook.